There are about 100 trillion cells in the body. Each cell has about 2000 chemical processes happening every second. Anything that disrupts the ability of cells to do their normal metabolic processing can end up damaging the cell. A cell that is not working properly cannot absorb nutrients, supplements or even medications normally. Because of this imbalance of cell membrane function, the doors or channels from the outside of the cell to the inside of the cell stop working. 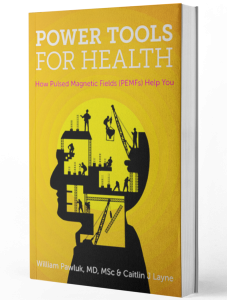 By reversing the imbalance in cell membrane function, PEMFs help to restore the channels in the cell and there are over 200 of them. When the channels are restored nutrients are able to get into cells better and metabolic waste is eliminated from the cells better. At this point the cells can become healthy again and nutrients are able to move into the cell better. Almost all PEMFs can restore cellular function and nutrient absorption. The amount of time that it would take for PEMFs to do this depends on the degree of damage to the cell and the type of cell involved. Nerve, cartilage and bone cells can take a long time to recover. But almost all cells can benefit from PEMF stimulation. Cellular dysfunction is more common and typically takes more time to recover as we get older. Infants and animals generally have faster capacity to recover. So, PEMFs used regularly are able to restore cell function before it gets to a point where significant cell damage happens and can keep the body younger, functioning better and slowing aging. When starting a regimen that includes PEMFs you can start out small and work your way up or do the opposite and work your way back down. As with any regimen, you need to make sure that you’re doing it regularly in order to see the full benefits of PEMF alongside your nutrients.